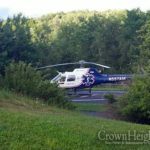 An 18-month-old boy is on life support after nearly drowning in an upstate pool Shabbos afternoon. Hatzalah worked on the child for nearly an hour before regaining a pulse. The incident occurred Wellsprings, a Lubavitcher bungalow colony in Monticello, NY, on Shabbos afternoon. Apparently the child managed to get into the pool area by squeezing under a section of the fence, and then fell into the pool. A 3-year-old child began calling for help. Adults rushed into the pool area and pulled the child from the pool. He was in cardiac arrest and Hatzalah was called. After working to revive the child for nearly an hour, Hatzalah managed to restore the child’s pulse and he was rushed to Harris Medical Center. 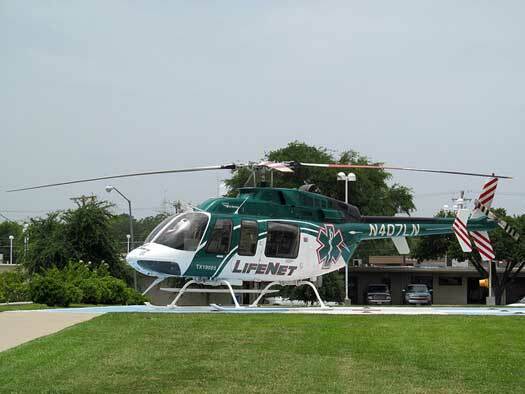 The child was then choppered to Westchester Medical Center where the child is listed in critical condition and is on life support. The public is being asked to say Tehillim for Zeev Aryeh ben Nechama, who is currently on a respirator. This is the third drowning in Upstate NY since Friday. Yeshiva World News reported that on Friday, a 14-year-old Bochur who was pulled from a pool in Stolin Camp in Highland NY (Ulster County), and just minutes later a 8-year-old child was pulled from a swimming pool in Ichud Bungalow Colony in Monticello (Sullivan County). The names for Tehillim in those incidents are Mordechai ben Sara Silka and Yechiel ben Esther Perel. Pleeeeeeease everyone!! Pleeeees do all in your power to attract hashem’s protection back to our community!! Enough! Hashem we get the message! We need yiur protection!!!!! I understand your passionate reaction. But you can’t be demanding Hashem to do this or that. To me it’s wrong and rude. Last summer Stolin had a “Lifeguard” whose certification did not check out when Red Cross was contacted to verify that he had certification. This “Lifeguard” was teaching WSI and then never gave the bochurim their certificates. 1) water alarm. This is a small device that attaches to the side of the pool and activates an alarm when it senses vibrations in the water. This could have alerted adults sooner. Not foolproof, and will not prevent, but can help alert sooner when every second counts. 2) safety cover. This is an automated cover that is opened when the pool is in use and gets closed when swimming hours are over. A key can be required to open which prevents accidents and ensures that an adult or lifeguard is present whenever the pool is in use. These safety covers are strong enough for people to walk on. Opening and closing takes less than 60 seconds and requires no more than the turn of a key or push of a button. This should be an absolute requirement in every colony and camp. 3) motion sensors in the pool area. Unlike a water alarm, this would alert either via alarm or message when movement is sensed in the pool area. These are especially helpful for young adults that sneak in to pool areas after hours which is also a dangerous risk. 4) regular inspection of the pool and surrounding area. This is something that is free and should not be taken for granted. Simple small structural changes in and around pools can literally save lives. The above listed items are priceless in consideration of what they can help prevent. 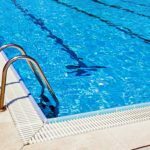 There is no excuse for pools which are sometimes accessed by as many as hundreds of people not to implement these safety features. The few dollars in savings are just not worth the heartbreak and tragedy year after year. PLEASE if you are in a bungalow colony or camp, INSIST that the owners or managers consider the above or alternative options to proactively try and prevent such tragedies by making the pool and surrounding areas safer for children and babies. We are coming up on 9 days during which the pools will not be used anyway. This is a perfect opportunity to have the work done to implement some or all of the above and any other safety options available. No need to wait till the end of the season. You made everything so clear it will be a shanda if any camp or colony doesn’t implement these safety measures. But I bet they will say its too expensive. Can you put a price on a child’s life? Would any owner want to have to live with a tragedy on his conscience because of money? Think about it. I hope all camp and colony directors take this to heart. Also if you have any sort of backyard pool, from an inflatable wading pool to a in-ground pool, keep it protected like a diamond. You don’t want CV”S any diamond getting lost in it. May Hashem protect us all, Aibishter, your children are begging for Moshiach. Please bring the geula now. Just wondering in this case. The pool was used as a mikva shabbos morning. Would those sensors and covers be able to be used on Shabbos? Please remember we are in the 3 weeks, the beginning of the 9 days PLEASE WATCH YOUR CHILDREN!!!!!!!!!!!!!!!!!!! Thanks so much to #3 for your comments. The instructions are so important not only for bungalow colonies, but also for camps and privately owned pools. I would like to add here also about checking mezuzos and also to give tzedaka regularly. We MUST do whatever possible bederech hateva for safety, but we also must remember that mezuzos and tzedaka help for protection. Hashem should watch over everyone and keep eveyone safe. “This is a small device that attaches to the side of the pool and activates an alarm when it senses vibrations in the water. This could have alerted adults sooner. Not foolproof, and will not prevent, but can help alert sooner when every second counts”. May hashem send his blessings to the Kids and they should have a full recovery. As we are in the days of Bein Hametzorim and we all know the story of Kamtza Ubar kamtza that brought upon us the Churban habais. 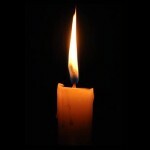 How is it when a person is injured we all daven and say tehilim and Show Genuine Concern. But when Groups of “chasidishe” Chabad people go out to the country and some have left the Menschlichkeit behind we hear more stories that some groups of so calld chabad are persecuting and suing in goyishe courts. Over disputes BUT you don’t hear anyone standing up to STOP the KILLING of JEWS of course not because this rich ugly leaders are feared. Yes this Rich People think they can do EVERYTHING to persecute the not rich. No need to be vague or politically correct when dealin with life and death situations. shame on you for dramatizing and sensationalizing a family’s tzaar and absolute heartache, a request for tehillim would be appropriate form of support and ahavas yisroel but this article is thoughtless. You don’t need to go to the country for the answer. I watch in horror how mothers walk in the city with their little little children trailing 10 -20 feet behind them (including when crossing streets) while they are obliviously on their cell phones. as if the child were not theirs! Children are left to roam around by themselves without any concern by the parent. It’s time the parents start realizing that children are treasures to be treasured. And if they are a nuisance than don’t have them to start off with. It is unfair to the child to have to suffer the consequence of their parents’s selfish, inconsiderate carelessness. A name was added for a complete Refuah. 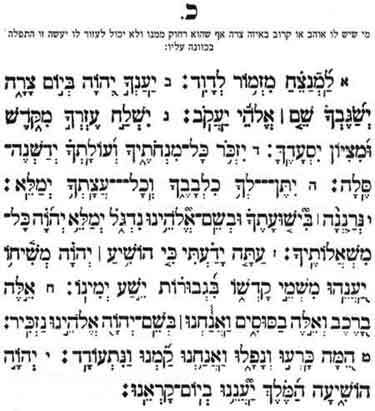 Please continue to say tehillim for CHAIM Zev Aryeh ben Nechama. How heartless of you! Have u never lost ur child for a few seconds! The parents of this child are the sweetest most put together and responsible people. You ow them a personal apology for this attack! Be judgmental on yourself not on others, don’t you think this family is going through enough right now, probably blaming themselves for something g that could have happened to any of us! Why add to their pain??? Go home hug your kids and thank HaShem for having saved your family from a tragedy today! Because tragedies can happen anytime anywhere! It is at these times that Hashem is reminding us that WE PARENTS must watch our children!!!! Both during the 3 weeks and the rest of the year it is important that no-one, even adults swim alone. Additionally, it is our responsibility to watch and care for our children. Please inform us of the good news immediately. My comment was a general one, regarding what I see on the streets of Crown Heights. In this terrible situation the colony is to blame for not securing the pool area so that there is ABSOLUTELY no way a child could possibly get in there without an adult letting him in. The pool owner needs to ensure that the alarm they choose is compatible with their pool so that it is effective. To #8 – good point about shabbos. That is a questions for a rov though I would imagine there are options such as having a goy activate and deactivate. Same would apply to opening and closing a safety cover. Again, these are questions for a rov. Another alternative would be to see if these can be rigged to work on a timer and preset before shabbos.